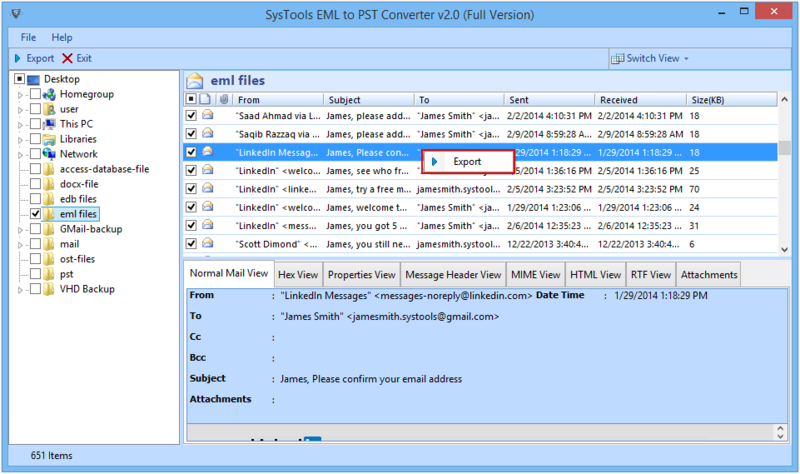 The tool, EML Converter helps users in moving the EML files to Microsoft Outlook PST. The EML file can be of any supported email application such as Windows Live Mail, Windows Mail, etc. The tool has the potential to load the EML files in an automatic manner along with the item count. The screen that comes initially displays the Windows explorer style. Users need to hit on left pane to choose the required EML files and it will load all of them automatically. 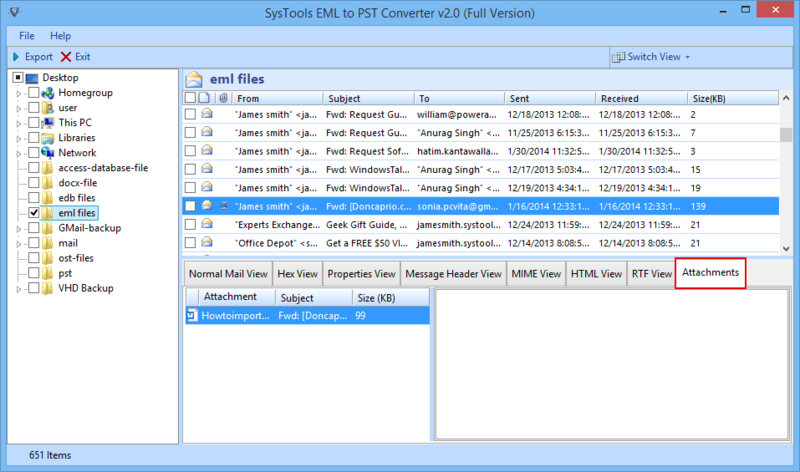 EML to PST Converter shows all the selected email messages in different modes such as Normal, MIME, Hex, Property, HTML, etc. Users can view the files as per their requirement without any difficulties. Users can open, view, and read the emails along with the associated attachments. They can even save the attachments on local drive. 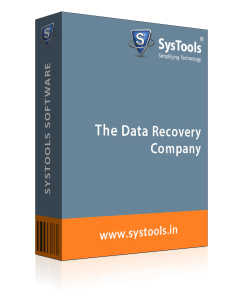 Moreover, the tool keeps entire data completely safe and secure. The tool permits user to split or break the resultant PST files in case required. For this, they need to pick the option of splitting PST file. In addition, users can sort the email messages by the properties such as To, Subject, From, Sent Date, Size in KB, and Receive Date. Another features added to the software’s panel is that it supports every EML file regardless its supported email application. These email clients include Mozilla Thunderbird, Outlook Express, Widows Live Mail, Eudora, etc. 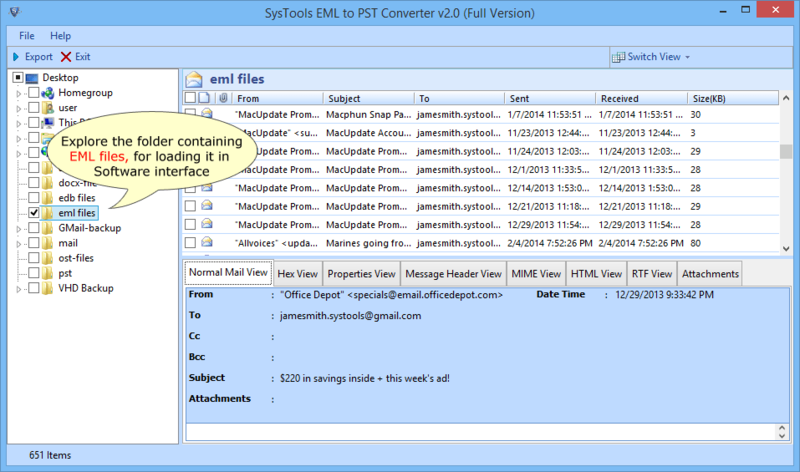 After EML to PST conversion, the utility creates a Unicode PST file. 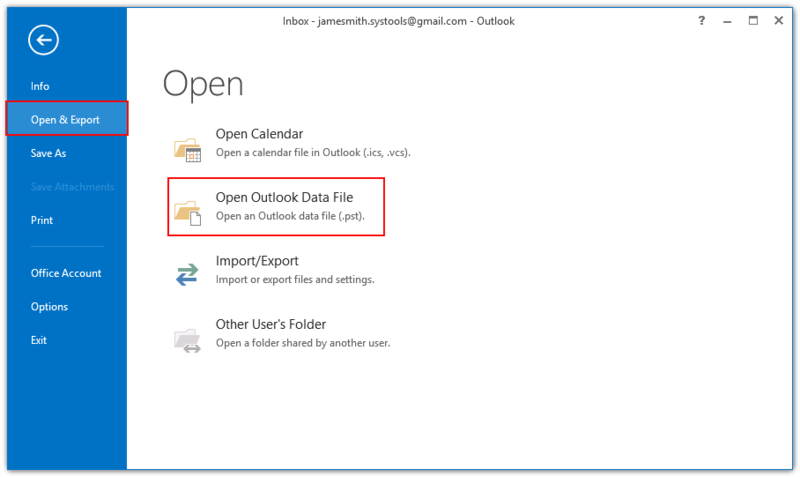 Therefore, it can be accessed in Outlook 2007 and later editions. Moreover, it allows users to switch the view mode as well. Users can change the view from horizontal to vertical or vice versa. 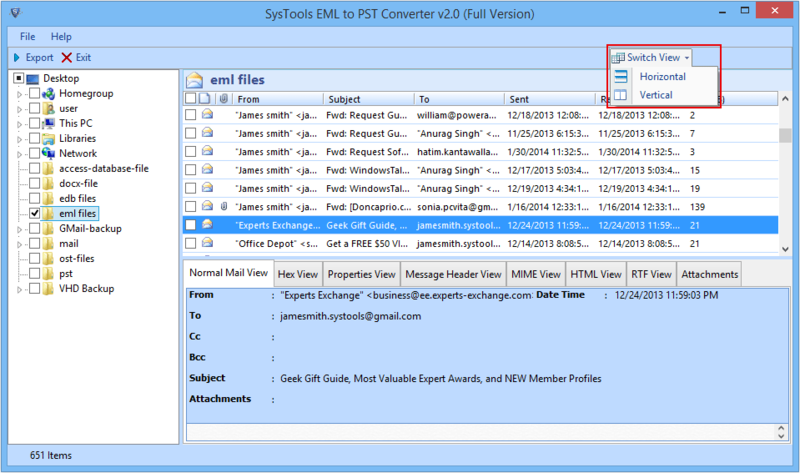 It is possible to generate a new folder for storing the resultant PST file or users can store it in any existing folder as well. 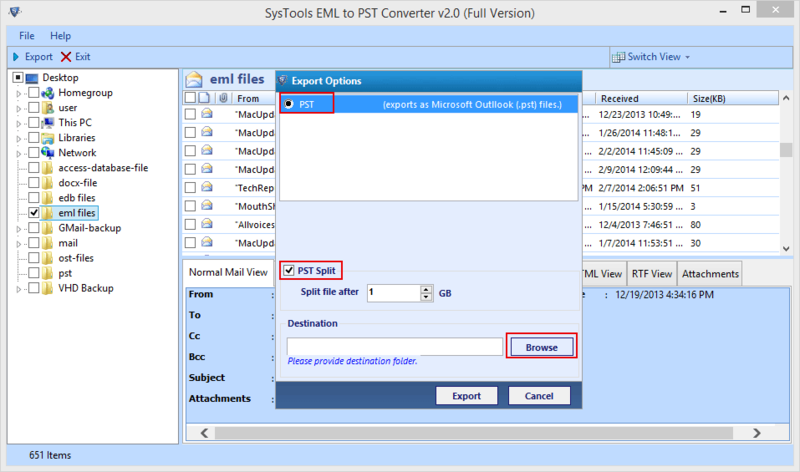 The complete procedure of EML to PST migration is done keeping the data intact. 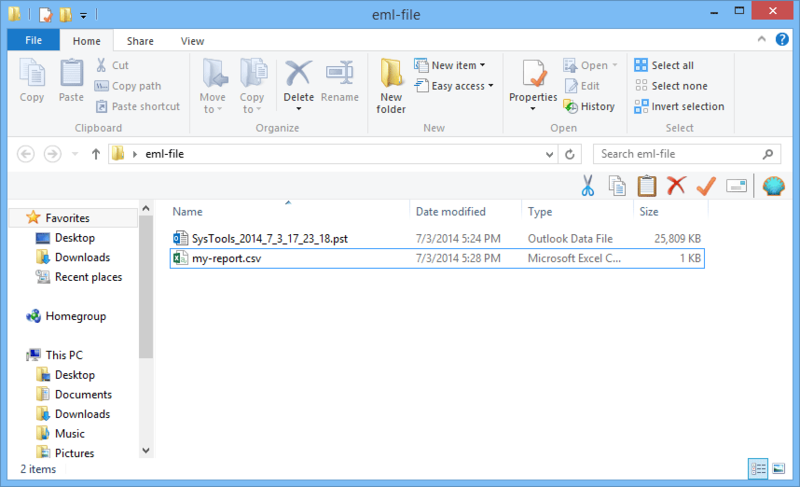 Step 2 : By using Explorer Window, you may go to the location directly where all the EML files are available. Step 5 : There are two view modes: Horizontal View and Vertical View. You can see emails in any manner as you want. Step 6 : Now, to move any single email, you need to do a right click on the mail you wish to move and then on Export button. 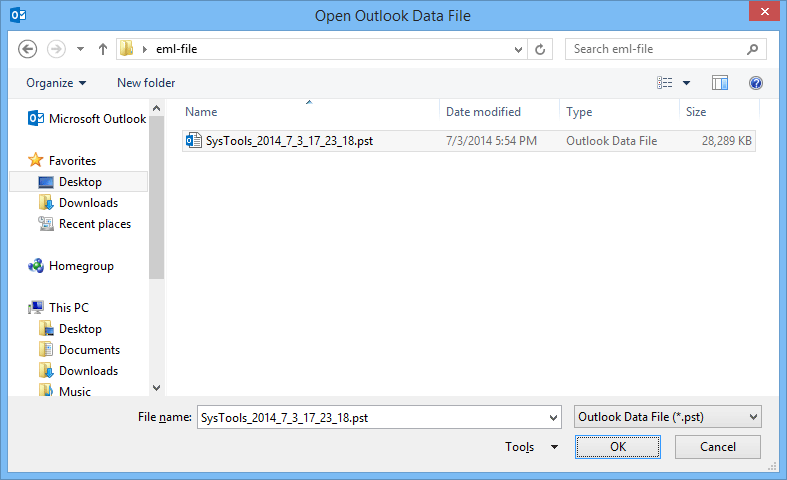 Step 7 : In case, you wish to export the complete folder, click on Export button available in the top of software’s panel. Step 8 : Now, choose the radio button in front PST. There is also an option to split the resultant PST, choose the size and then, hit on Browse to pick the destination location where you wish to save the files. Step 15 : Finally, you can see the converted PST file. Q. 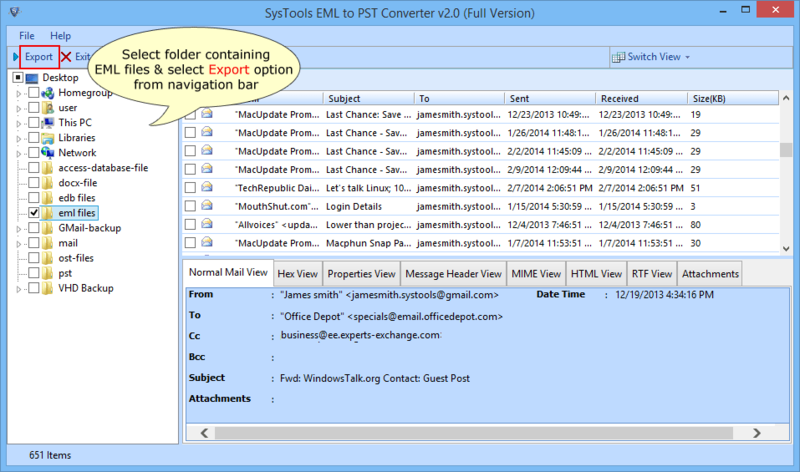 Is it feasible to execute migration with EML Converter with no Outlook? "I have recently received some PST files from one of my important clients. However, I am not able to access these files in my system. The reason is that I do not have Outlook. 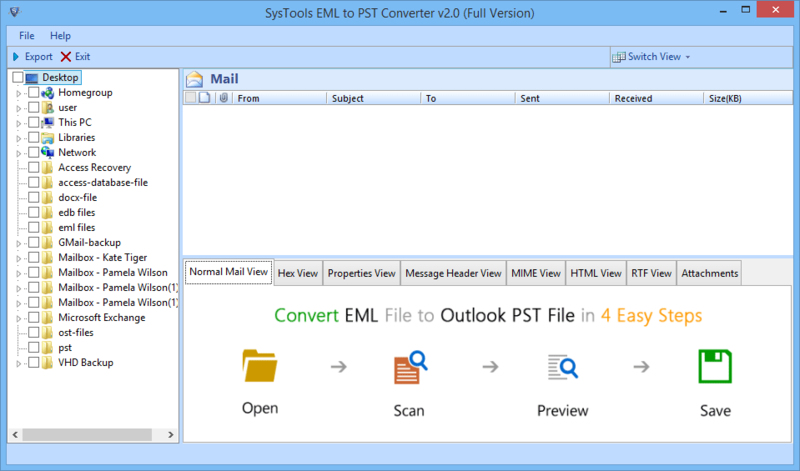 Therefore, I just want to know that can I export EML to PST without Outlook"
Ans: Yes, you can run the tool in your system and perform conversion even if you do not have Outlook. Q. 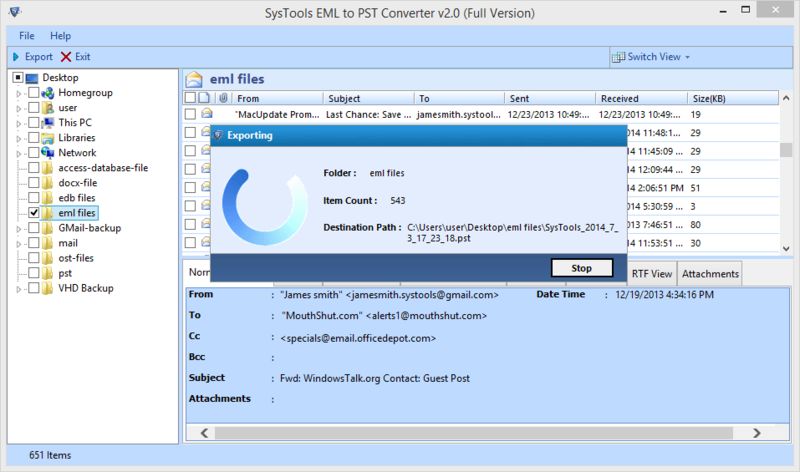 Can I export multiple EML files to PST at once using this tool? "There are huge files with .eml extension in my machine. However, I do not have any of the supported email clients as I run Outlook. Now, I want to convert all the EML files in one go instead of choosing one file after the other. Is it possible with this tool?" Ans: Yes, you can very easily perform the bulk migration of EML files with the help of this amazing product. Q. Is it possible to access the trial version of this software? 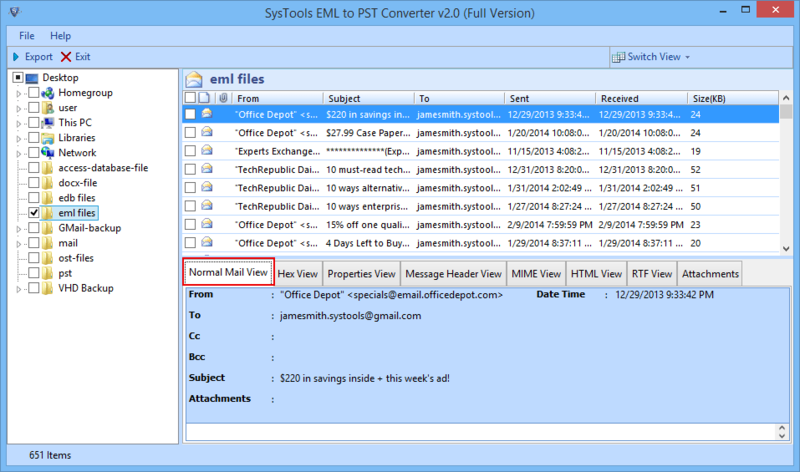 "I have used some other product for EML to Outlook PST migration, however I have lost most of the files. I do not want to repeat the same mistake again; therefore need to use the trial version of this utility before buying the full version. Can I try the demo version of this program first?" Ans: Yes, of course. The program comes up in two different editions and you can run the demo version to check the functionality of the tool. 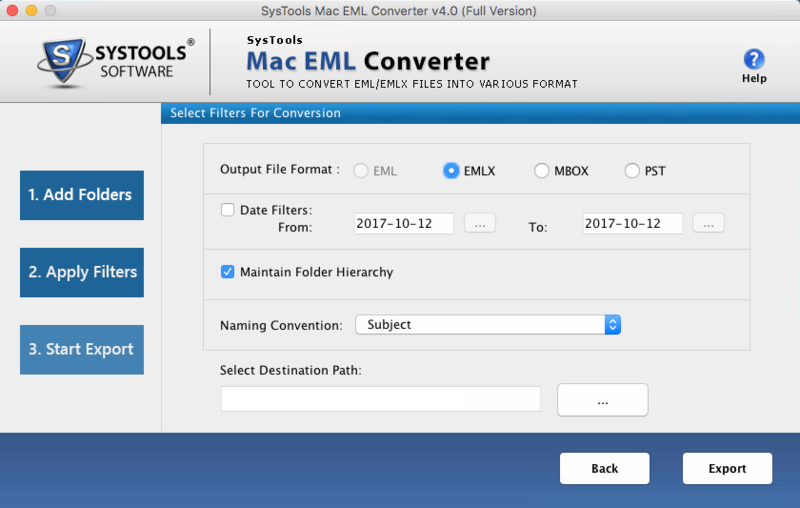 Mac EML Converter is an effortless utility that allows users for exporting multiple EML data files to EMLX format. With the help of the tool, it is possible to add the files in the panel of software in two different ways and it ensures the safety of data. Moreover, it comes up with no file size limitations. 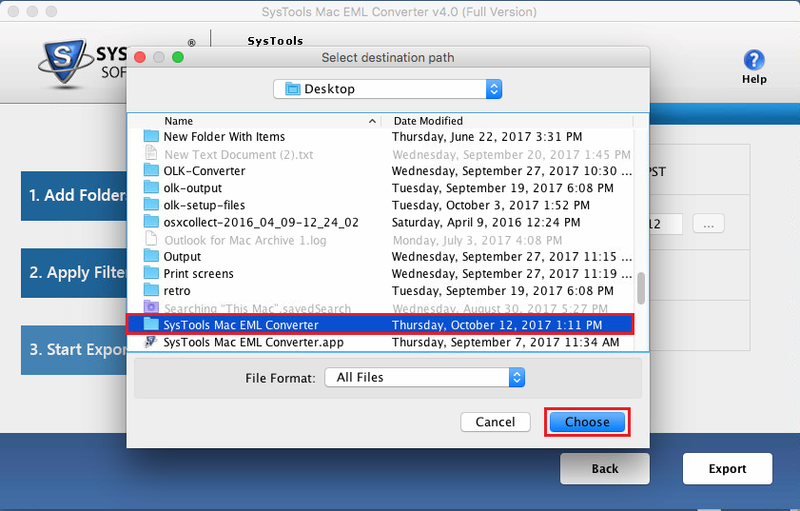 This Mac based utility not only permits to move EML data to EMLX or vice verse, but also provides naming options to save the resultant file. It has options such as subject, Subject+Date (DD-MM-YYYY), etc. for storing converted data files. Therefore, makes it easy for users to find the files when there is a need. Mac EML Converter Software brings forth an amazing feature i.e. it keeps the email RTF as well as HTML format without any damage. The color scheme, mail formatting, associated attachments, etc. all the things remain similar throughout the complete procedure of conversion. Many users face difficulties in running the tool for migration purposes due to the complicated structure. Considering this, the software has been given such a designing that even a novice can shift their Mac EML files to EMLX format. The EML file could be of Windows Live Mail, Windows Mail, Apple Mail or any other supported email client. For transferring only the selective emails, users can use Date Filter option. This option permits to choose the emails that come under a specific date range. They need to pick the date by putting it into the column of “From” and “To.” Once it is done, the tool will display only the selective emails for migration process. 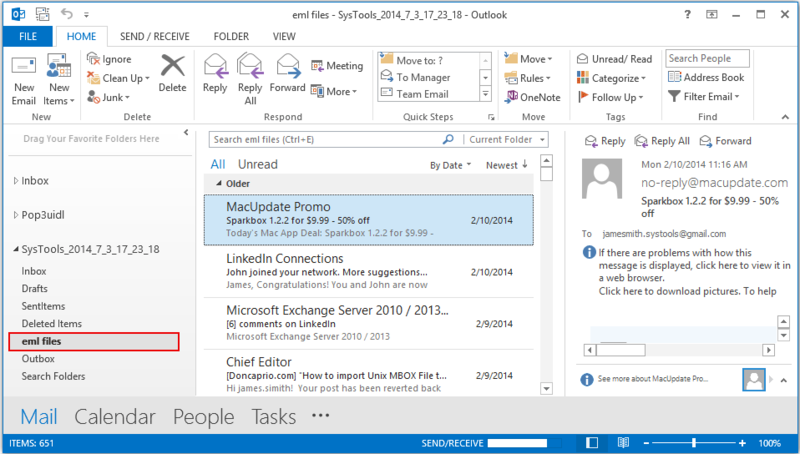 How to Export Mac EML to Outlook? Step 2 : Now, click on the “Add File(s)” or “Add Folder” button. Step 3 : Select the EML files on the system. Step 5 : Now select the format in which you need the conversion: EMLX or EML. Step 7 : After that, click on the Browse button to select the destination location and then click on Choose button to continue. 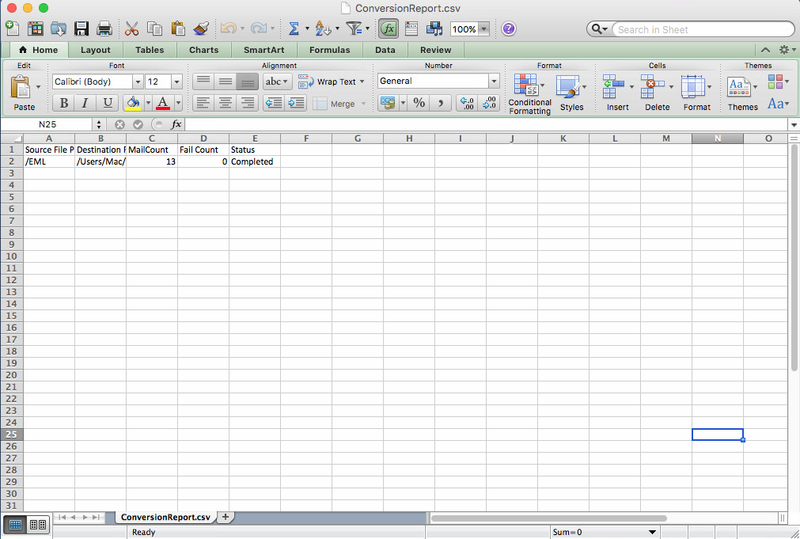 Step 8 : After selecting destination location, click on Export button to begin the conversion. Watch!! 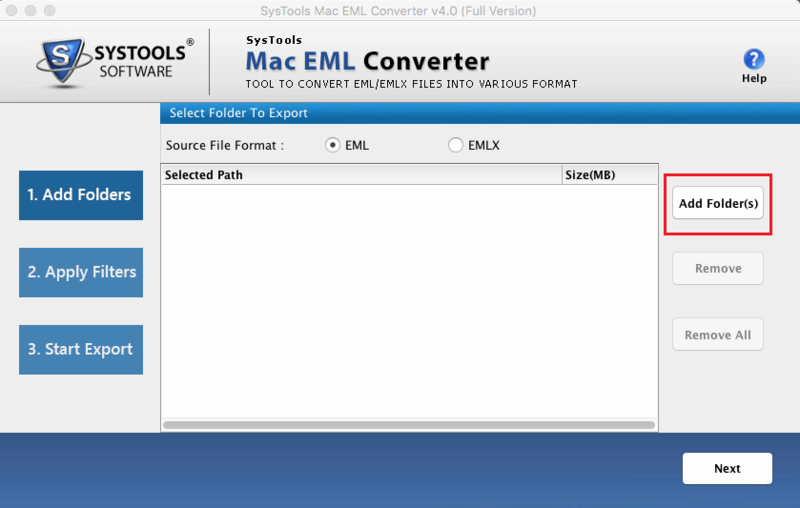 How to Convert Mac EML to EMLX file Format? Q. 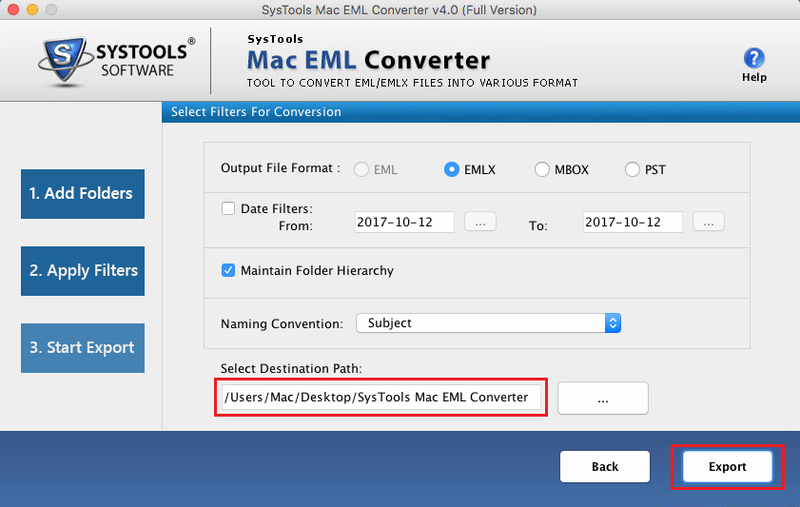 Is it possible to add only selective emails with Mac EML Converter? "Migrating files was always been a tough task for me. However, I never thought that I have to do it by my own one day. There are more than 1000 of EML files in my mailbox, but I do not want to export all the files to EMLX. I need data falling under specific date range and therefore want to know is it possible with this software." Ans: Yes, of course. There is an option of Date Filter using which you can easily move the chosen files from EML to EMLX file format. Q. Can I move EML files without any file size restriction? "I was thinking for the migration of EML files from a very long time. However, very much confused about the utility I should use for the same. When I read about Mac EML Exporter, I find it suitable for the task. Nevertheless, one thing I want to know about this software is that can I perform migration without any file size limitations?" Ans: Yes, the tool permits you to shift the EML files without any file size limitations in an easy and quick manner. 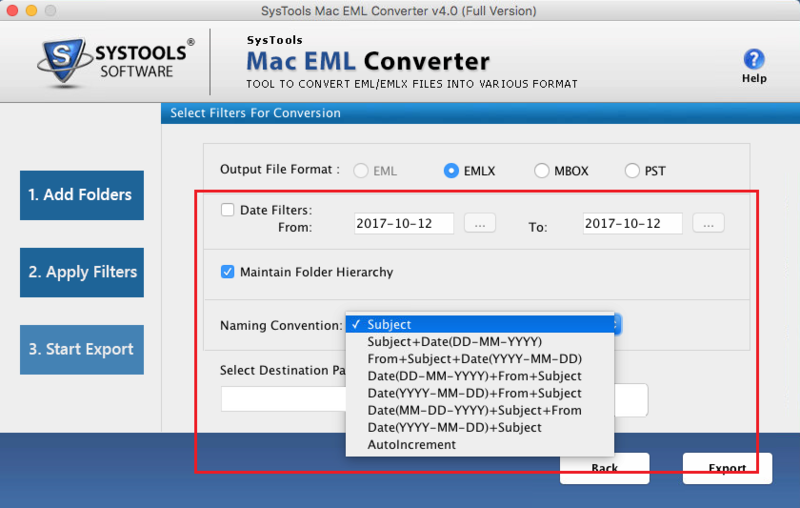 Q.Does the application convert EML files of Apple Mail to EMLX? "I am using Apple Mail from a very long time with no issues. However, my senior has ordered me to transfer all these files to EMLX format. 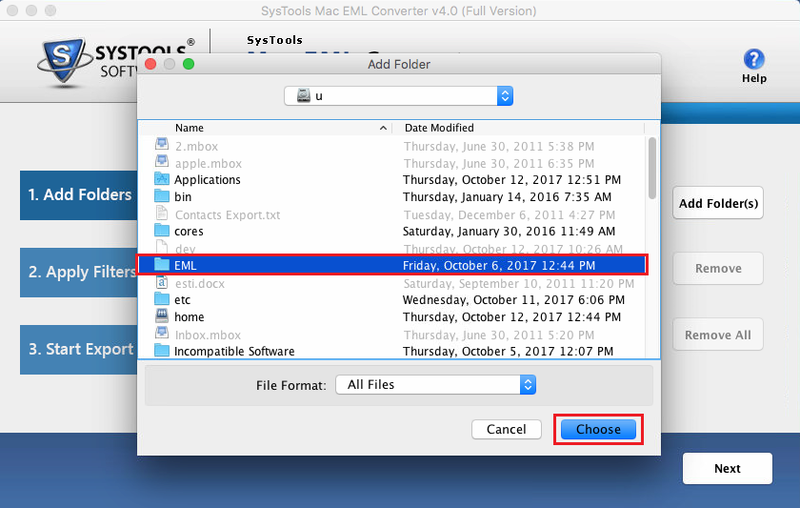 Can I use this utility and move all my Apple Mail EML files to EMLX format?" Ans: Yes, using this software you can easily move any EML file regardless of its supportive email application to EMLX. How do I export Mac EML files to EMLX was the question that was there in my mind from the data my boss ordered me for this. Fortunately, I got Mac EML Exporter and then performed the complete procedure of migration in one go. Really, the task was done in almost no time. I would like to use this tool in future as well, whenever there is a need. I want to say a big thank you to the entire team of developers for such a useful tool. I was looking for such kind of software from a long time. The innovative thinking is clearly seen the way the product has been designed. Its simple interface and ability to move the files in bulk make it a unique application. EML to PST Converter really proves to be my savior. 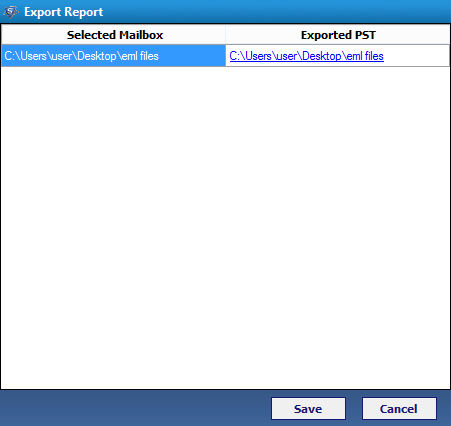 I found no limitations using this software and executed the entire process of moving Windows Live Mail EML files to Outlook PST with no trouble. Kudos! Yes, I want to applaud to the whole team of developers for their innovative mind and idea. By creating this tool, they have helped many users like me. My experience with this utility is very good. Tired to searching for the manual ways, finally I got something really useful. As soon as I found the tool, I instantly downloaded the tool in my machine and converted all the EML files I have in my system. Some EML files are of Windows Mail and some are of Thunderbird.